The historic crossover! Event priced for a limited time at $197.00 in honor of the year 1970 (Detective Comics #395) when Neal Adams first drew Batman! DC Comics and IDW team up for the crossover you never saw coming as two of the greatest entertainment icons meet for the first time! 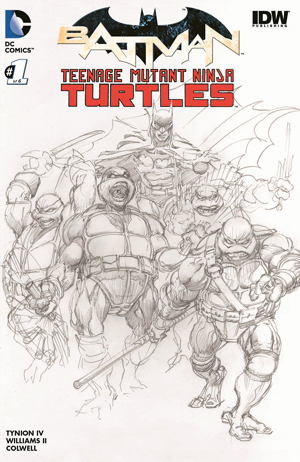 Neal Adams, one of the most beloved Batman artists, draws the DF limited edition exclusive cover of this historic crossover with the Teenage Mutant Ninja Turtles.